Malta is a place that I always forget about. It’s a little island nation in the Southern Mediterranean that most people don’t know anything about. It’s not a place that has an Eiffel Tower, an Empire State Building or something you absolutely must see before you die. What it does have is a lot of beautiful places and things to see and do. They’re not household names but they will leave an impression long after you’ve left Malta. Personally, I can’t wait to go back to Malta! For a relatively small island, Malta has a lot on offer for the visitor. First, the old city is a fantastic place to visit. Really it’s one of the best-preserved old cities in the region if not the world. Remember that Malta is located just below Sicily and just above both Libya and Tunisia. In fact, the first time I went to Malta, I flew there from Tunis, Tunisia. The other pleasant thing about Malta’s Mdina is that it’s a virtual ghost town so even in the summer; you’ll have great photos and get the feel of having it to yourself. That’s a difficult thing to do on nearby Italian, Greek or French islands. The capital of Valletta is an intriguing place that looks like something out of a movie. In fact, Valletta and Malta are often used to film movies or TV shows on location, most notably current, Game of Thrones. The views from the Gardens are fabulous and the small streets give it an old gothic kind of feel. I highly recommend having a drink in one of the numerous small pubs in Valletta. All the bartenders like to tell stories of the people that have passed through over the years. Most people have heard of the Maltese Falcon although few people actually know what it really is. That said, the Maltese do offer falconry on the island and it’s a pretty fun thing to do and makes for great photos and videos. I also suggest getting out of Malta proper and heading out to the island of Gozo just offshore. Gozo is great for water activities and a really off the beaten path kind of destination, easily visited on a day trip. Not to mention, it is absolutely gorgeous! Plus, if you feel like dancing, Malta has no shortage of places to go out at night. They have clubs and bars to suit any age and it kind of reminds me a bit of Cyprus in terms of nightlife, but less seedy. Finally, the best way to see Malta is by just getting out and doing it. Hire a car and just go. There are also public busses that will take you around the island but I always find it more fun to drive myself! As they say…Malta is more. 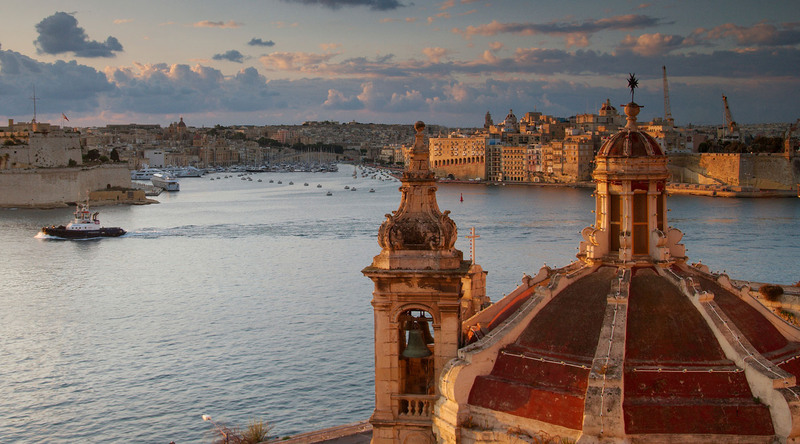 See all upcoming cruises to Malta in 2015, 2016 and 2017 here.